The last of the parsnips were dug from the garden. Parsnips have a very long root and are difficult to dig if the ground is dry. They keep for a long period in a root cellar. I steam cook them for about 15 minutes, they cook quickly, then place them on a cookie sheet and broil until slightly brown, after garnishing with butter, a dusting of brown sugar, a sprinkle of soy sauce. They are good substitute for potatoes but probably more filling. 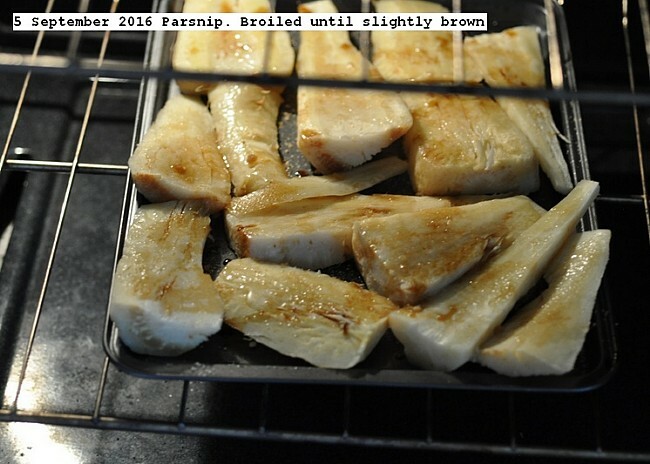 This entry was posted in Uncategorized and tagged 5 September 2016 Parsnips, Parsnips. Bookmark the permalink.